If you’re in central London and fancy some time out in an opulent setting, head to The House of Rush in Piccadilly, for a great urban spa experience. This fabulous beauty spa is a real on-stop-shop: it has a hairdresser section and an extensive menu of beauty treatments, ranging from facials and skin rejuvenation treatments, to massages and hair removal – and it even has a men’s designated beauty menu tailored for those metrosexual men amongst you. I decided to have a pedicure (given that the warm weather is finally here) to check out the spa, and was pleasantly surprised at how quiet and calm it was – once you’re inside – given that the address really couldn’t be more central. The room where I was shown to was comfortable and simply decorated, and I was asked to sit on a reclining chair – it was so inviting I could’ve easily fallen asleep! – while classical music played in the background. The treatment itself was also very relaxing: it starting with a light foot and leg massage and exfoliation followed by a nail tidy-up and finished with a gorgeous rouge-noir high gloss varnish application. I was offered a drink and some pretzels while my nails were drying and my therapist Mel kept me company whilst she put everything away. 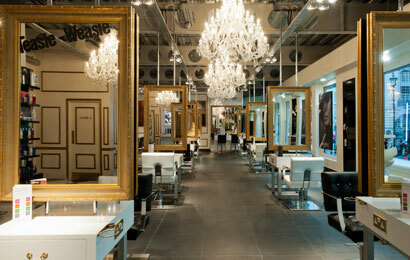 If you’re in central London and have time to spare, it’s the perfect hideaway and pampering salon. The atmosphere is friendly and the surroundings are stunning. What more can a girl want? This entry was posted in Nails, Wellbeing and tagged House of Rush, Pampering, pedicure, Piccadilly. Bookmark the permalink.